Earn $37.99 in VIP credit. Click to Learn More. In Mountain bike riding, trail conditions change drastically from one second to the next, from one turn to the next. Mountain bikers need to be able to seamlessly Perceive the conditions, Judge their options, and Operate their bike in a split second. XTR satisfies the needs of the most demanding riders by providing the highest level of precision and integration. 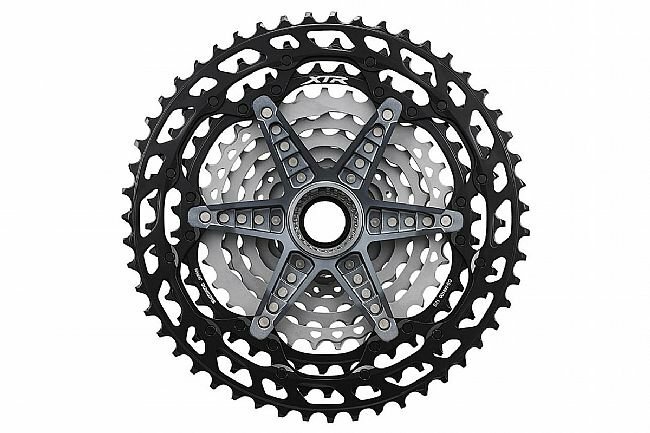 We refocused on the original goal of XTR - to be the ultimate race components. Definitive HYPERGLIDE+ shifting let you pedal continuously while shifting. The M9100 compatible cassettes now have ramps in both directions so shifting to either the next larger OR smaller cog is quicker, easier and smoother. 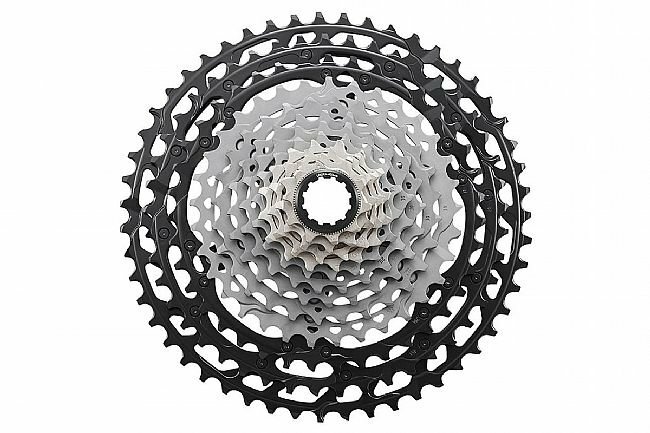 M9100 compatible cassettes are designed for the new Micro Spline freehub interface and are not backwards compatible with older SRAM/Shimano style freehubs. The smallest 4 cogs are steel for strength, then 5 titanium cogs for weight saving and finally the largest 3 cogs are aluminum riveted to an aluminum spider for rigidity. All cogs are coated with special long-wearing sufrace treatments for longevity.